Eva was off on Tuesday so I got to have a lie in. I posted the first of the new series that will pop up every once in a while, My Obsessions. After watching RuPaul's Drag Race I thought I would share my love of drag queens. You can read that post here. 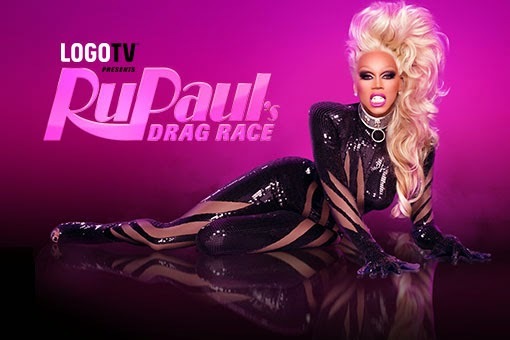 I decided to introduce Eva to RuPaul's Drag Race so I'd have someone to share it with. Plus I knew she would LOVE it and I was right. Now she's as obsessed with it as I am. So on Tuesday I ended up rewatching all the episodes I watched the day before but with Eva. 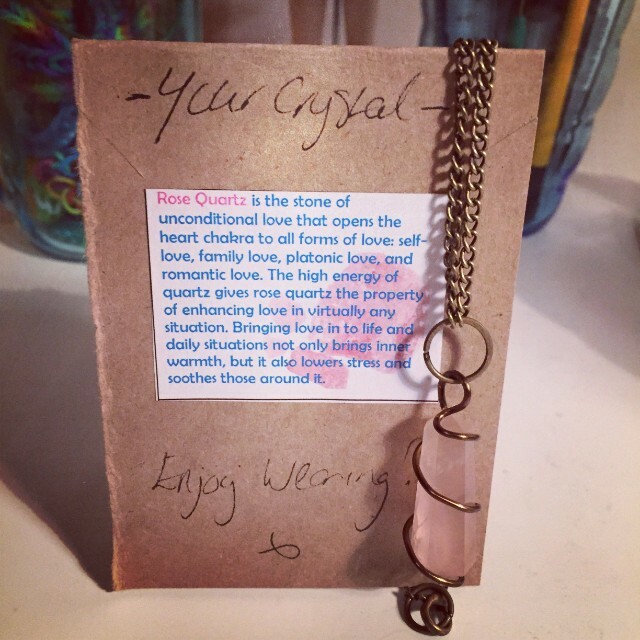 Aside from watching RuPaul's Drag Race all day, the only other thing that happened was my Rose Quartz necklace I ordered from Agharta Jewellery arrived. It came as swiftly and beautifully wrapped as the last one and we also got two extra stones free. I'm pretty much in love with this store. Eva got a Black Obsidian necklace too, which I think I might get next. 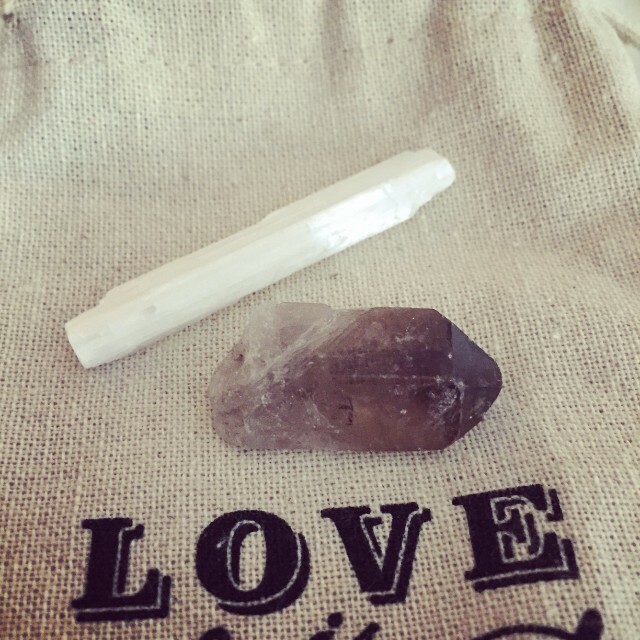 My Rose Quartz and the other stones are pictured below. I got up at 7am again on Wednesday. I did some tech work for a bit. Then as I couldn't watch RuPaul's Drag Race to pass time as I was now obligated to wait for Eva I ended up watching a bunch of drag queen related stuff on Youtube. Luckily I didn't have to wait until after 4pm for Eva as work sent her home early and she came in at 11am! We had lunch and then got into bed with our chihuahuas and watched Drag Race all day, only getting up for dinner before getting back into bed! It wasn't a very productive day. I didn't even work on Thursday's post! I emailed tech and let them know I wouldn't be in on Thursday as I was just too tired this week. I don't know what's wrong with me. We're off next week for half term so I'm hoping after a long rest I will be back with a lot of energy. Other than that my mum came back from England on Wednesday and I had another early night. Thursday was another unproductive day. Eva and dad were working and mum also left for work about 12:15. I was prepared to be by myself until after 4pm. I was sitting at my desk with earphones in, singing along to music and suddenly I felt a hand on the back of my neck. I almost had a heart attack! Eva had been sent home AGAIN from work and she thought it was a good idea to scare me! Not cool. After I posted Thursday's Bloo's Review, which you can read here, Eva and I watched Drag Race the rest of the day. We'd finally started season 6. Most of Friday was also spent watching Drag Race or Drag Race related videos on Youtube. Eva had went to work at 8am but she was sent home at 9am so she was home before I even got out of bed. The only productive thing I did on Friday write a Valentines Special to post on Valentines Day. I wasn't sure about doing one but after I thought of one with a bit of a twist I went ahead with it. 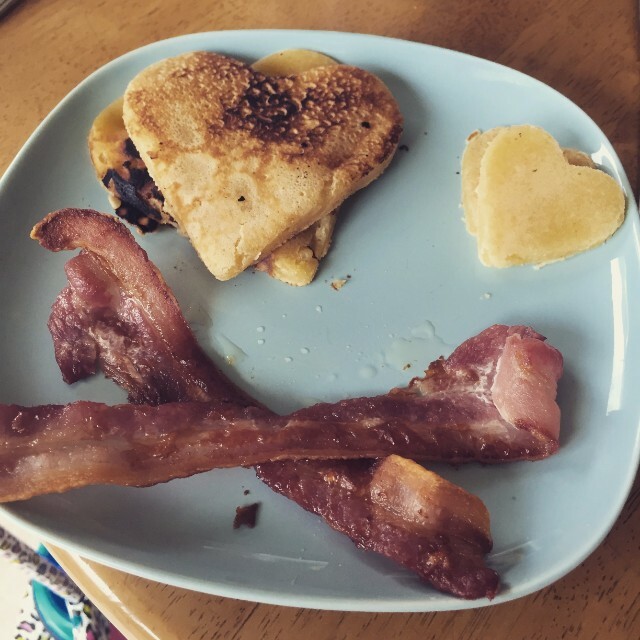 On Saturday I woke up to a Valentines Day breakfast of pancakes, bacon and maple syrup made by Eva. Who needs a mister when you've got a sister? It was so good. After I posted my Valentines Special, which you can read here, we watched an episode or two of Drag Race and Untucked, then Eva and I decided to get dressed and ask dad to leave us off to do some shopping before we walked to granny's house. After watching Drag Race all week we decided we want to start channelling our inner drag queen a little more. Naturally that meant putting on a bunch of make up and taking some super posey photos. We were obviously going for the uhm... vampire look? Or something. I spent more money than I should have yesterday, if I'm honest. In the morning I had to pay almost £20 in customs for a parcel. I then spent £44 on Belfast Giants tickets for next week. So shopping maybe wasn't the best idea but I couldn't help myself. First we hit the Yankee store. It was £27 for two of the big candles so we got one each. I got mine purely because I thought it would make a good drag name but it does also smell good. 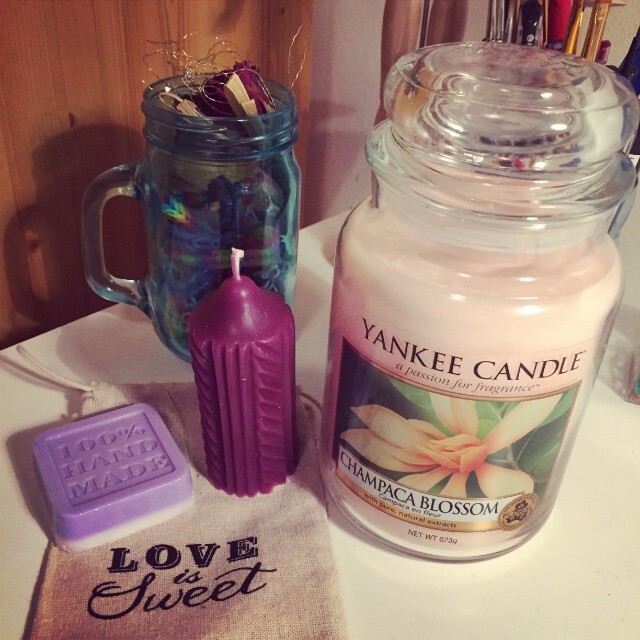 It's pictured below with a handmade candle and soap my mum got me from a craft fair she was doing yesterday. Pretty sure she spent more money than she made. We then went to Boots to purchase some make up. I really wanted to get some lipsticks and lip liners but none really caught my eye. 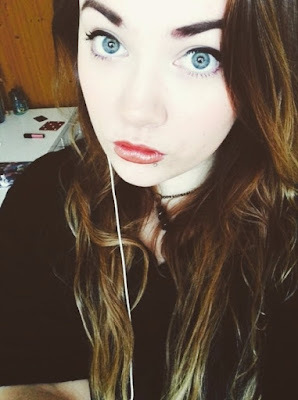 I finally got new mascara, Scandaleyes Mascara by Rimmel London. It was £6.99. I've never been able to master liquid eye liner and have therefore always stuck to pencil, however I would really love to attempt it again. My sister recommended the Master Precise pen by Maybelline New York. It was £5.99. So we'll see how that goes. Lastly I wanted some loose setting powder as I'm using a broken up pressed power from Natural Collection right now and it sometimes sits a little thick. 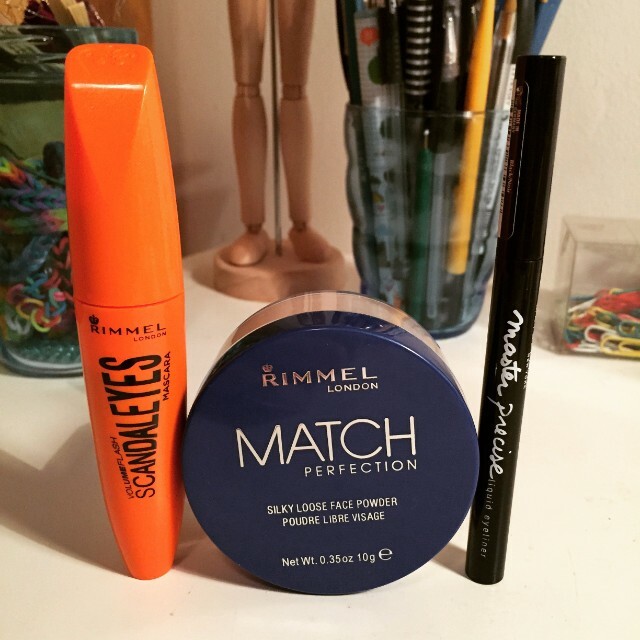 I bought Match Perfection Silky Loose Face Powder by Rimmel London. It was also £6.99. We then walked to our granny's. It was good seeing her after so long and she was in a pretty good mood. 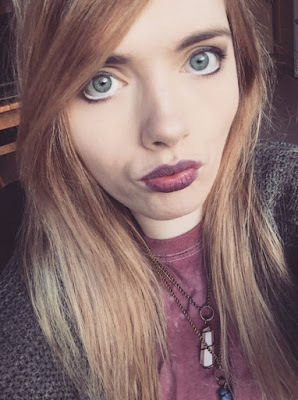 She forgot who I was recently when my dad was talking about me and was asking what happened to me and why I was in a wheelchair etc. So it's always a relief when you visit and she remembers who you are. Since Eva and I are both single we decided to have a family Valentines Day dinner. 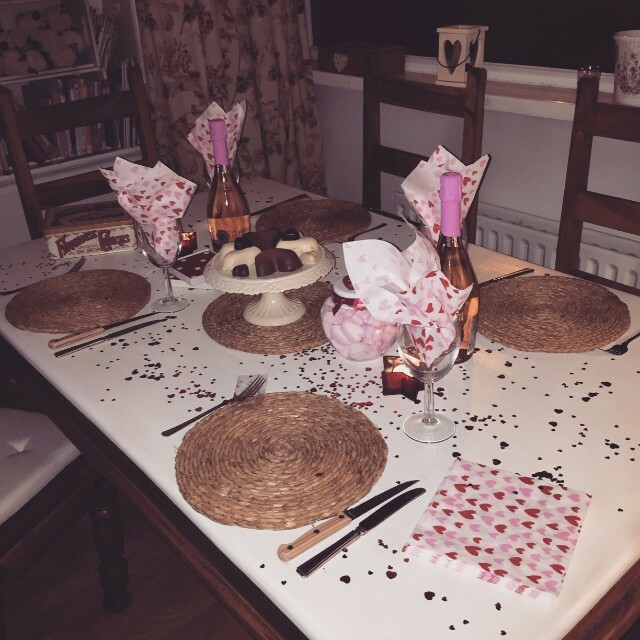 We bought a meal for two between us and my parents did the same and then they cooked it for us and my mum set up the table all pretty like. We chilled when we got in from granny's and it was almost 9pm before dinner the first course was ready. I forgot to take a photograph of all the courses, but dinner was really good! I did get a photo of the table and the dessert though. We were supposed to watch a movie after dinner but by that time I was shattered. I felt bad but I really needed to go to bed. It had been a long day. So at about 11pm I hit the hay. I had just got into bed when I got a notification that BenDelaCreme from season 6 of Drag Race had favourited one of my Tweets. A pretty good way to end the day. All in all it was a good week. I'm SO glad I started watching RuPaul's Drag Race. I'm really looking forward to the next season but it will be hard to top the last one. They really did have a great bunch of queens. 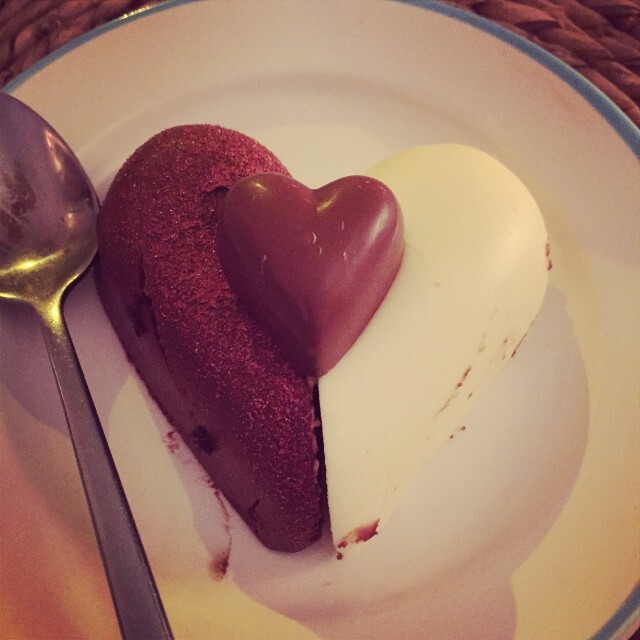 I hope everyone had a good week and Valentines Day.